Is there anything quite so vilified as our students' love of video games? The slightly lame-sounding trope in the teachers lounge is, "If they'd just study and stop playing those games!" When I was a student teacher, I remember vividly the consternation of my cooperating teacher as she threw up her hands. "Have you seen video games these days? How am I supposed to compete with that?" As a teacher, I find myself wanting to walk a very fine line, because it's obvious that games are doing something right in the attention department -- and I want to tap into that in my classroom. Walking that line has shown me that modern gaming has given us fantasy worlds with malleable parts. When I play games, I wonder how the programmers make the characters move. I wonder if their physics is self-consistent. I wonder what the gravitational field in the Mushroom Kingdom is.2 What's more, it's not that difficult to get students to ask these questions, too. The first time I brought games into my classroom. it was an abysmal failure. I let students model the different kinds of volcanoes using a level editor in Halo. I thought, "OK, a sandbox where they can build stuff." The students thought, "Great! Let's play Halo for a few hours and then put together some pittance of work and see if he calls us out." This kind of student-teacher relationship is obviously indicative of a larger issue that education faces, but first-year-teacher me wasn't grappling with those questions yet. Games represent worlds that have bizarre constraints that are easy to buy into. Such as, strange economic situations (StarCraft II), or bizarre social structures (role playing games like the Elder Scrolls). 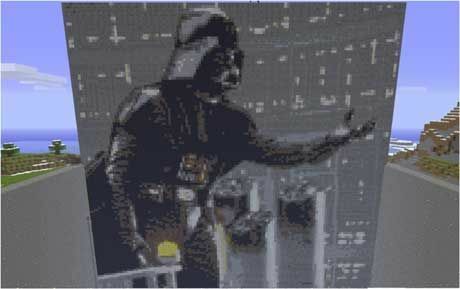 Simply referencing or bringing games into your classroom does not a relevant lesson make. Games represent interesting iterations on the real world that can help emphasize principles and behaviors that, on Earth at least, are either too strong or too subtle (e.g. gravity). Games are, for better or worse, the gateway for most students into computer programming, so let's embrace the STEM opportunities there and roll with it. Here are few games I’ve used with success in my classroom. Portal 2 is a gimmick turned awesome. It pits the player against a misanthropic computer with only a portal gun to defend herself. The gun is capable of linking a blue portal to an orange portal which the player slings around the world with hilarious abandon. The physics engine in this game is amazing, and crazy things like conservation of momentum can be tested and toyed with as you fall through a portal only to be shot sideways through its partner across the room. 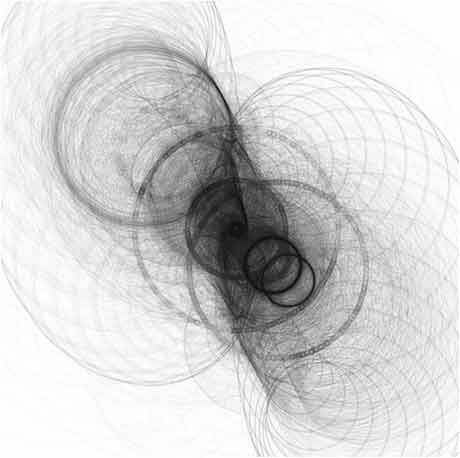 The game also allows you to play with basic optics, gravity and psychology. My most successful implementation of Portal 2 is in physics. We use a screen capture program to record our session, while the person playing the game jumps down a pit into a portal at the bottom. 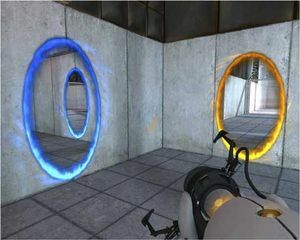 The second portal is positioned on a wall where the player is then ejected at great speed. The game has effectively changed the direction of the player's momentum vector, but not its magnitude. Students go nuts trying to verify this: they measure parts of the room, they estimate the size of the gun, all to get accurate physical numbers to quantify the game's physics. This game has become such a hit with teachers that the developer has created an education related port of the game! Minecraft is all the rage right now, and for good reason. It allows students the power of world-building. The player builds the world brick by brick, and can make and change anything about it that he or she wants to change. Teachers have used Minecraft to help students build playable recreations of real objects. I've used it as a prototyping tool for physics experiments and projects. There are buildable circuits for teaching electronics and digital logic. Check out some of the programming examples in Minecraft's RedStone gallery. 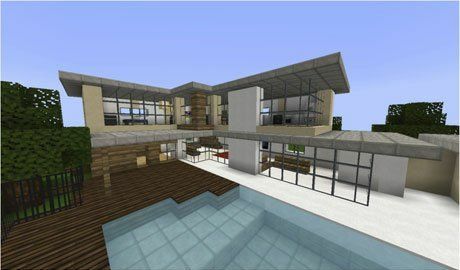 Minecraft's abstractions of real structures do a great job of preparing students for programming. They will often spend hours trying to figure out how to route water flows to power their subterranean fortresses; this is not unlike searching for broken logic in some code. For me, the use of games in the classroom is really just a segue into programming. If we want students to find STEM interesting, we absolutely must have them working with programming. At this point, a course in science or math that doesn't include some code is in pretty serious dissonance with the work that STEM professionals actually do. Processing is a language that allows students to easily put graphics on the screen. I taught a summer course in Processing and had students creating Pong clones in less than two weeks. There's also a healthy online community of people sharing their Processing sketches and code. Arduino is a programmable circuit board that allows students to control lights, motors and other sensors in the real world. It's built on the same structure as Processing, and I recommend getting a kit from Sparkfun and letting the students have at it. They can start with the tutorial. If jumping right into object-oriented programming seems a bit much, I would definitely recommend Scratch as a starting place for younger students! The prospect of bringing games into the classroom can often cause teachers to take pause. It's astonishingly easy to get students off track, and even easier to get them addicted to games. The reasons for this are psychologically interesting, and they say a lot about what we think school is and what students think it is. All educational philosophy aside, there's just something awesome about kids tearing things down to their nuts and bolts -- or, in this case, loops and semicolons. Please share how you’re using video games in the STEM classroom. 1Another point of evidence: this list will become dated the nanosecond it is published. 2Gravity in the Mushroom Kingdom (Super Mario Bros) appears to be about 91 m/s^2, which is 9g's. That's way more than most people can tolerate without losing oxygen supply to their brains.